Here, Novartis owned an earlier-filed pre-URAA patent (“Patent A”) and a later-filed post-URAA patent (“Patent B”). By virtue of the URAA’s effect on patent term, earlier-filed Patent A expired after later-filed Patent B. The district court held that Patent B was a double-patenting reference against Patent A in view of the Federal Circuit’s decision in Gilead, which held that a later filed but earlier-expiring post-URAA patent was a double-patenting reference against an earlier-filed and later-expiring post-URAA patent, and that the expiration date was the benchmark of obviousness-type double-patenting. Gilead Sciences, Inc. v. Natco Pharma Ltd., 753 F.3d 1208, 1212 (Fed. Cir. 2014). On appeal, the Federal Circuit reversed the district court’s decision. The Federal Circuit distinguished the present case from Gilead, since both patents at issue in that case were post‑URAA patents. Here, where one patent was filed pre-URAA and the other patent was filed post-URAA, the Federal Circuit held that the issuance dates of the patents control whether one patent is a double-patenting reference over the other. The Federal Circuit reasoned that its holding in this case was consistent with the URAA transition statute, which gives pre-URAA patents the longest term possible under either the pre- or post-URAA rules. It also reasoned that its holding was consistent with the purposes of the double-patenting doctrine, which is to limit a patent owner to one full term of patent rights. As a result of the Federal Circuit’s ruling, Novartis will enjoy one 17-year term of exclusive rights arising from Patent A. In Laerdal Medical Corp. v. ITC, Appeal No. 2017-2445, the Federal Circuit held that after institution, the U.S. International Trade Commission cannot assert insufficient pleadings as a basis for denying relief without opposition or appearance from respondents under 19 U.S.C. § 1337(g)(1). Laerdal filed a complaint at the Commission asserting respondents violated 19 U.S.C. § 1337 by importing, selling for importation, or selling within the U.S. certain medical devices and accompanying product literature, thereby infringing Laerdal’s patent, trademark, trade dress, and copyrights. The Commission instituted an investigation on some, but not all of Laerdal’s claims. Despite being served with the complaint and a notice of investigation, no respondent submitted any response, appeared, or otherwise participated in any way in any of the proceedings. The Administrative Law Judge (“ALJ”) thereby issued an initial determination finding all respondents in default, and the Commission did not review the ALJ’s initial determination finding all respondents in default. The Commission issued its final determination granting relief based on Laerdal’s patent and trademark infringement claims, but the Commission denied relief on Laerdal’s trade dress and copyright infringement claims because it found that Laerdal’s allegations in its complaint relating to those claims were inadequate. Specifically, the Commission held that if a complaint does not adequately plead a § 1337 violation, then no relief is warranted even if the allegations are unopposed. Laerdal appealed the ITC’s finding as to its trade dress infringement claims. The Federal Circuit reversed the Commission’s determination that Laerdal failed to adequately plead its trade dress infringement claims and vacated and remanded for the Commission to determine the proper remedy. 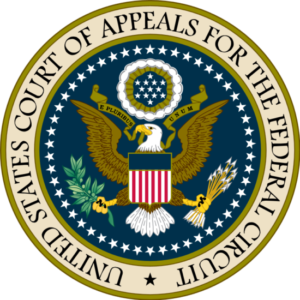 Reviewing the statutory language of § 1337(g), the Federal Circuit concluded that the statute “unambiguously requires the Commission to grant relief against defaulting respondents, subject only to public interest concerns, if all prerequisites of § 1337(g)(1) are satisfied.” The Federal Circuit noted that the inclusion of the word “shall” means “must,” and it imposes a nondiscretionary duty. Since it was undisputed that Laerdal had satisfied all of the prerequisites under § 1337(g)(1), the Commission was mandated to grant Laerdal’s requested relief. In addition, the Federal Circuit ruled that the adequacy of the pleadings is no longer a live issue after institution unless there is a challenge by a responding party. The Federal Circuit noted that, under the § 1337(g)(1), relief is only possible if the Commission has already determined, pre-institution, that the complaint was pleaded adequately and instituted an investigation thereof. Novartis owned multiple patents covering the multiple sclerosis drug Gilenya®, including the ’229 patent and the ’565 patent. The ’229 patent, a pre-URAA patent, is set to expire on February 18, 2019, due to five years of patent term extension (“PTE”) granted pursuant to 35 U.S.C. § 156, which allows for extension of the term of one patent of a product that has been subject to regulatory review. The ’565 patent, a post-URAA patent, expired on September 23, 2017. Plano Encryption Technologies (“PET”), registered to do business in the Eastern District of Texas, sent letters alleging patent infringement, inviting a license, and otherwise threatening litigation to eleven banks located in the Northern District of Texas. Jack Henry, who provides software systems for the banks’ mobile applications and had agreed to indemnify the banks, along with the banks, filed an action for declaratory judgment against PET in the Northern District of Texas. PET moved to dismiss on the grounds that its contacts with the Northern District of Texas did not subject it to personal jurisdiction and thus venue was improper. The district court agreed with PET and dismissed the case. Jack Henry and the banks appealed. Under 28 U.S.C. § 1391(d), a corporation who is a resident of a multi-district state “shall be deemed to reside in any district in that State within which its contacts would be sufficient to subject it to personal jurisdiction if that district were a separate State . . . .” The district court interpreted the Federal Circuit decision in Avocent Huntsville Corp v. Aten Int’l, 552 F.3d 1324, 1444 (Fed. Cir. 2008) as establishing a “unique” rule for patent cases that letters threatening patent infringement suits by themselves do not create personal jurisdiction. The Federal Circuit reversed dismissal and disagreed with the district court’s interpretation of Avocent as creating such a generalized rule. In doing so, the Federal Circuit looked to Texas’ long-arm statute. The Federal Circuit concluded that Texas’s long-arm statute extends to the limits of federal constitutional due process, and thus, a due process inquiry was required. In analyzing due process, the Federal Circuit reviewed the following three factors: (1) whether the defendant “purposefully directed” its activities at residents of forum; (2) whether the claim “arises out of or relates to” defendant’s activities in the forum; and (3) whether the exercise of personal jurisdiction is reasonable and fair. On appeal, PET agreed that under New World International, a case in which the Federal Circuit held that sending a letter that forms the basis for the claim may be sufficient to establish minimum contacts, the first two minimum contacts factors were met. New World International, Inc. v. Ford Global Technologies, LLC, 859 F.3d 1032, 1037-38 (Fed. Cir. 2017). As for the “reasonable and fair” factor, the Federal Circuit found compelling that PET had undertaken a licensing program with threat of litigation directed to banks conducting business in the Northern District of Texas, and that the forum had an obligation to resolve disputes involving its residents and businesses. Since PET had minimum contacts with the Northern District of Texas, the burden fell on PET to make a “compelling case” that the exercise of jurisdiction would be unreasonable and unfair. PET merely cited Red Wing Shoe Co. v. Hockerson-Hablerstadt, Inc., 148 F.3d 1355, 1361 (Fed. Cir. 1998) and Avocent, and argued that these cases created a rule that patent enforcement letters can never provide the basis for jurisdiction in declaratory judgment actions. The Federal Circuit found that these cases did not create such a rule and doing so would contradict the Supreme Court’s requirement that courts “consider a variety of interests” in assessing whether jurisdiction is fair. Judge Stoll, joined by Judge Wallach, included an additional view that the Court needs to revisit the statement in Red Wing that “principles of fair play and substantial justice afford a patentee sufficient latitude to inform others of its patent rights without subjecting itself to jurisdiction in a foreign forum” and the interpretation of this statement that “sending of infringement letters would satisfy the minimum contacts requirement of due process except for policy considerations unique to the patent context.” Judge Stoll stated that Red Wing and its progeny need to be reconsidered as directly contrary to established Supreme Court precedent. The Federal Circuit reversed the finding that venue was improper. In VirnetX Inc. v. Apple, Inc., Appeal Nos. 2017-2490, 2017-2494, the Federal Circuit held that Patent Owner VirnetX Inc. (“VirnetX”) was collaterally estopped from arguing that a reference was not a printed publication because the Federal Circuit had already determined the reference was a printed publication in a Rule 36 judgement in a separate but related appeal. Apple, Inc. (“Apple”) filed multiple IPR petitions against VirnetX’s patents. Many of Apple’s petitions relied on the same reference, known as RFC 2401. In each of the cases, VirnetX argued that RFC 2401 was not a printed publication. During the pendency of this case, the Federal Circuit affirmed, via a Rule 36 judgment, the Board’s decision in a related case that the RFC 2401 reference was a printed publication as of the relevant priority date. 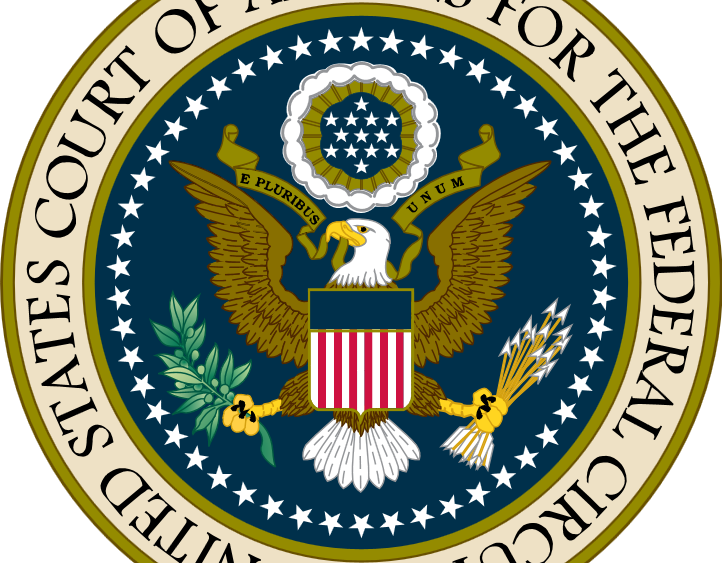 The Federal Circuit found that VirnetX was collaterally estopped from arguing the printed publication issue because the issue was necessary or essential to the prior judgment. The Federal Circuit found that each ground of unpatentability in the prior appeal relied on RFC 2401, and found that VirnetX even conceded during oral argument that the printed publication issue was a threshold issue in the prior case. VirnetX, in the alternative, pointed to a “single, generic paragraph” and argued that it preserved in its opening brief the separate issue of whether IPR procedures apply retroactively to patents that were filed before Congress enacted the AIA. The Federal Circuit found that VirnetX conceded in oral argument that it “didn’t specifically brief” the retroactivity issue, and that VirnetX’s actions to preserve this issue suggested that VirnetX’s actions were likely less than sincere. The Federal Circuit concluded that VirnetX did not preserve this issue for appeal, and thus affirmed the PTAB’s decision without addressing the issue. In Spineology, Inc. v. Wright Medical Technology Inc., Appeal No. 2018-1276, the Federal Circuit held that a party’s continued, but ultimately unsuccessful, pursuit of a claim construction may not warrant attorneys’ fees. In addition, district courts are not required to resolve every issue mooted by summary judgment to rule on a motion for attorneys’ fees. After prevailing on the merits on summary judgment, Wright appealed the district court’s determination that attorneys’ fees were not warranted under 35 U.S.C. § 285. The dispositive summary judgment motion largely depended on the construction of “body”—a term for which the parties had previously proposed constructions, but that the district court had declined to construe prior to summary judgment. On appeal, Wright argued that the district court abused its discretion in denying the motion for attorneys’ fees because Spineology advocated a meritless claim construction, misled the court with a cropped and annotated patent figure, and ignored evidence that undermined its preferred construction. In addition, Wright argued that Spineology advocated a meritless damages theory and that the district court did not do enough to analyze the merits of the theory, even though the damages issue had been mooted by the summary judgment determination.